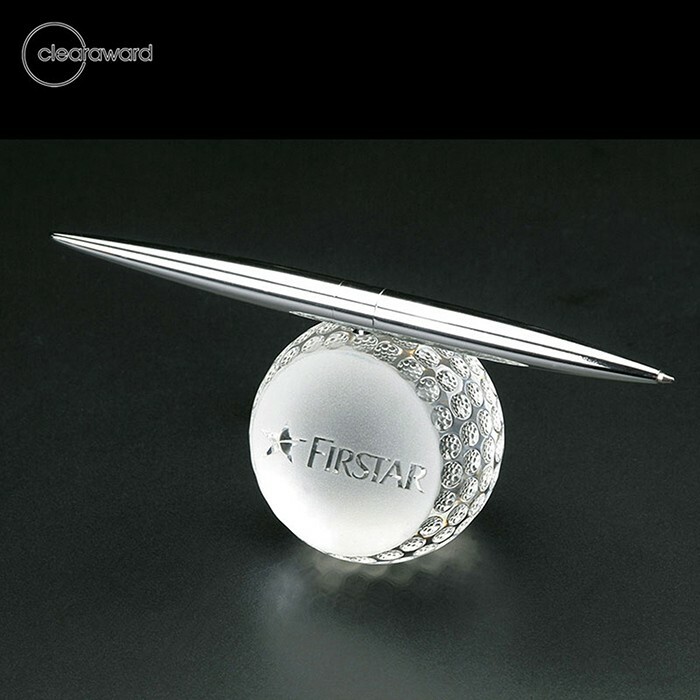 Optical crystal golf ball award with spinning pen. 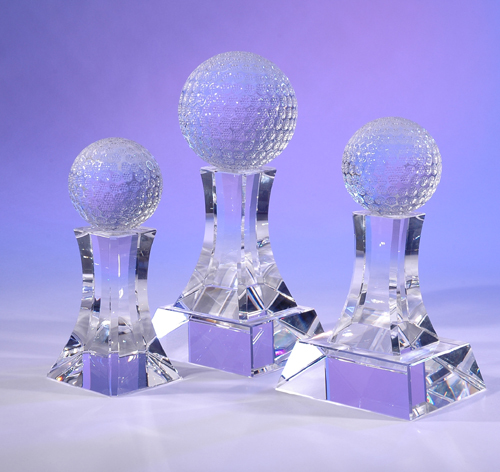 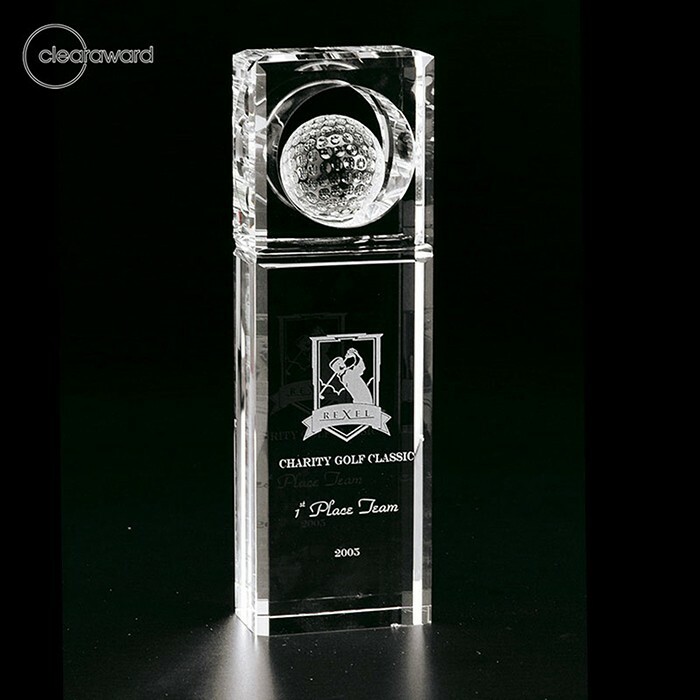 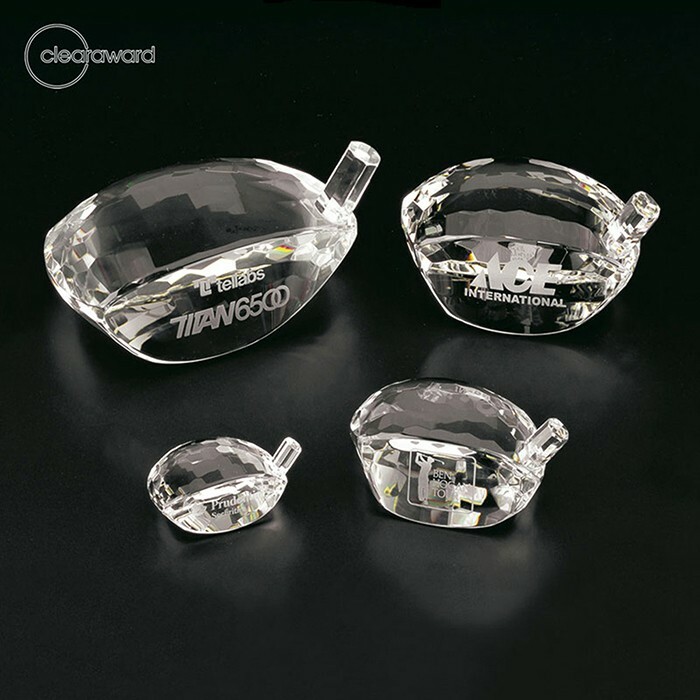 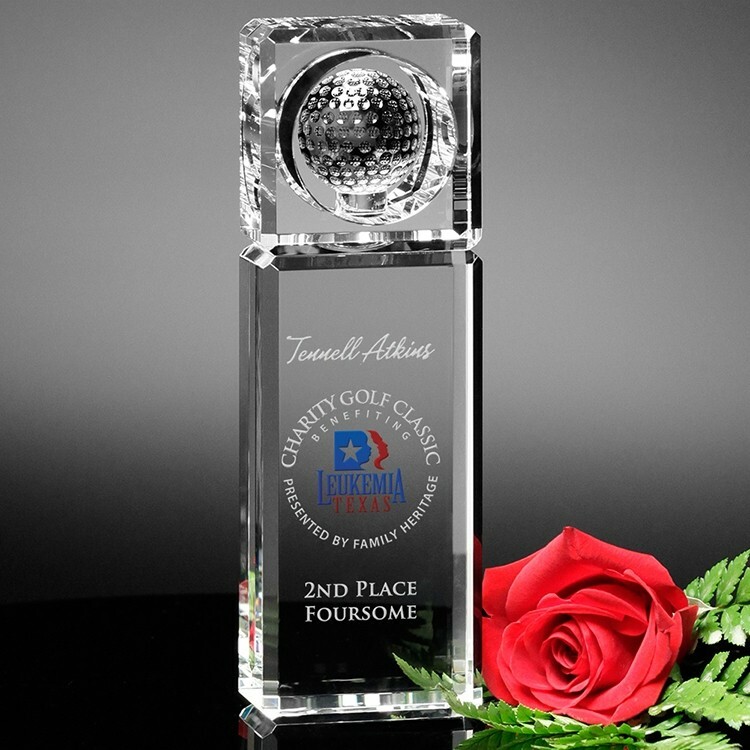 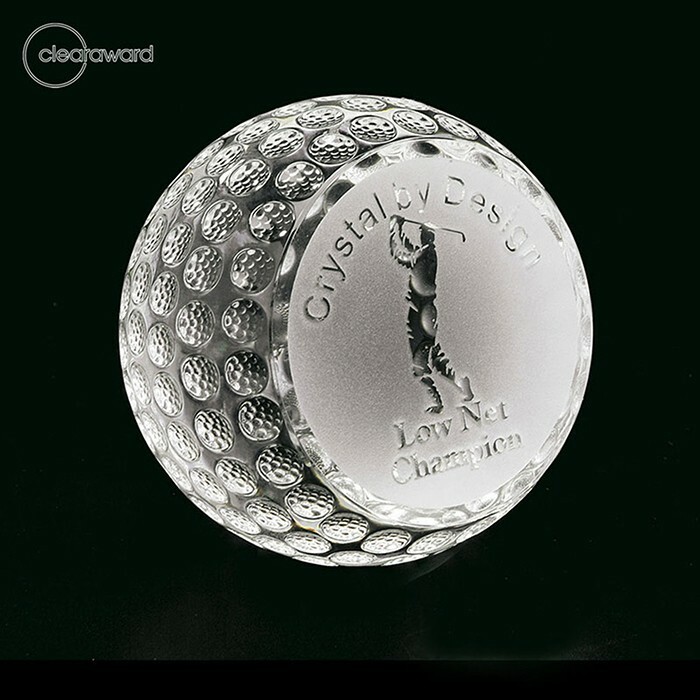 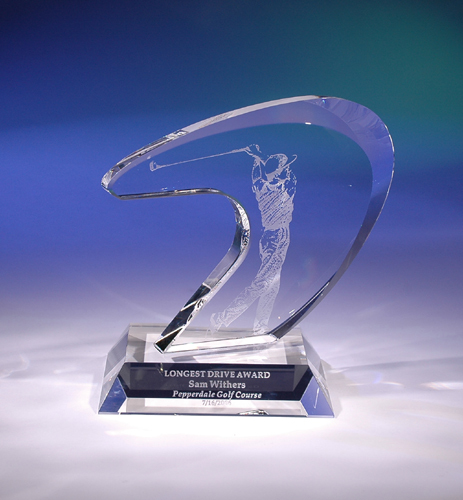 Optical crystal golf award with golf ball. 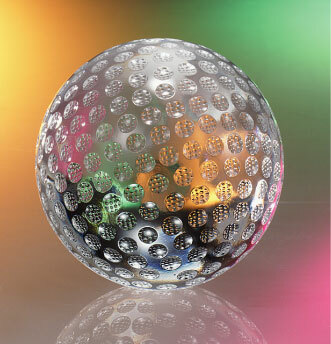 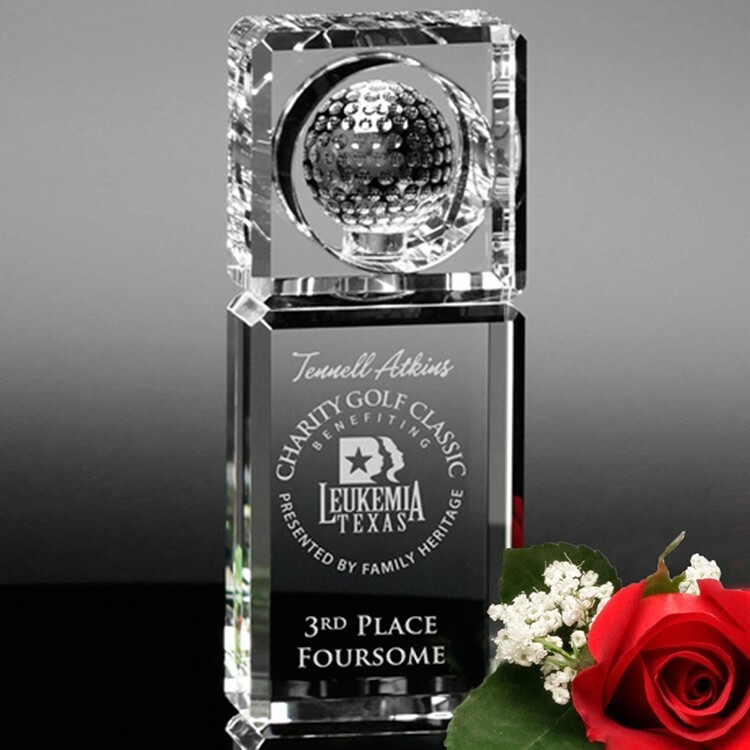 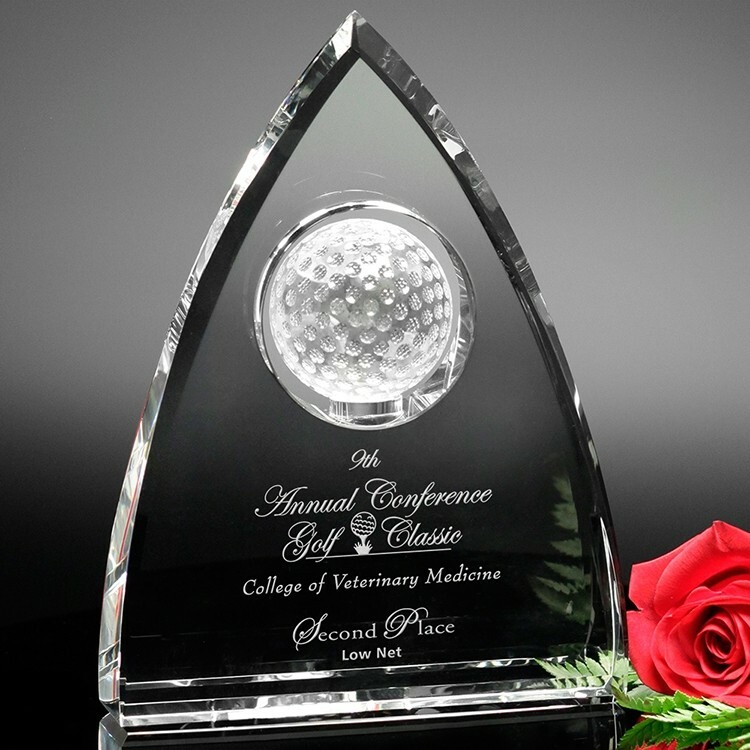 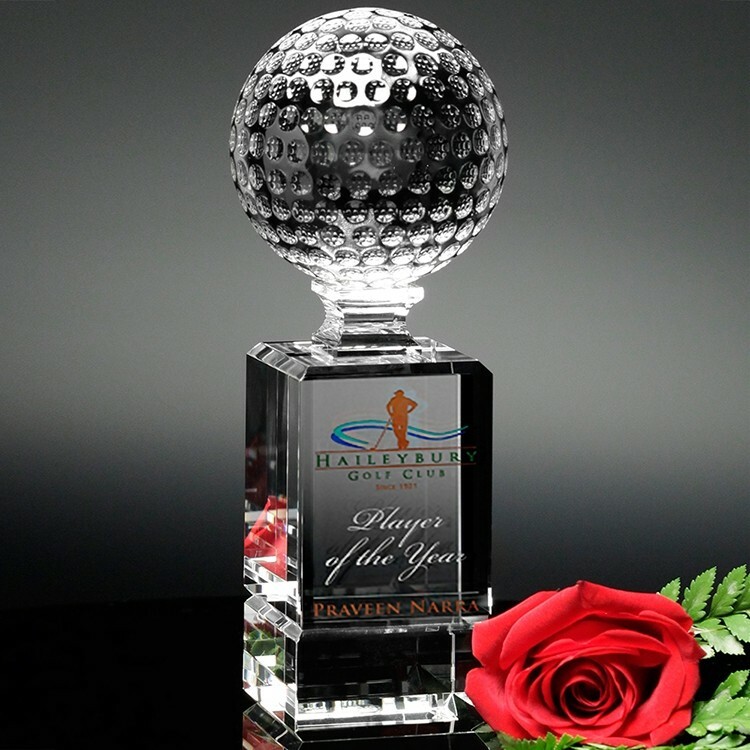 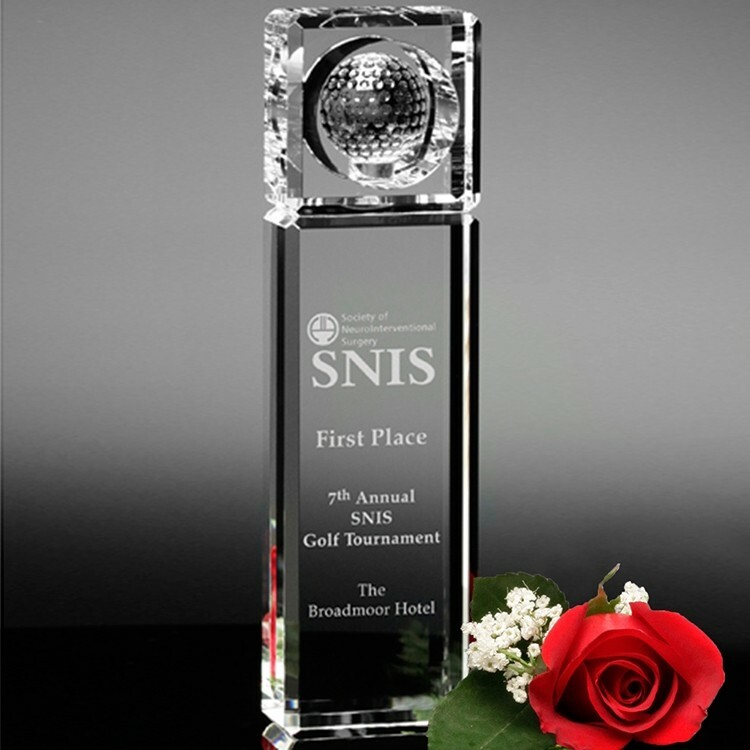 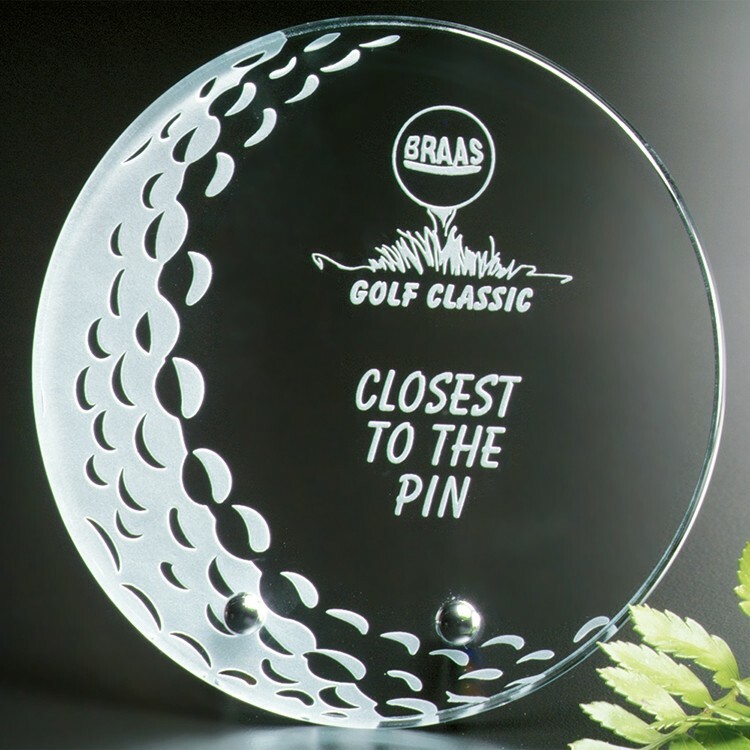 Optical crystal golf ball award. 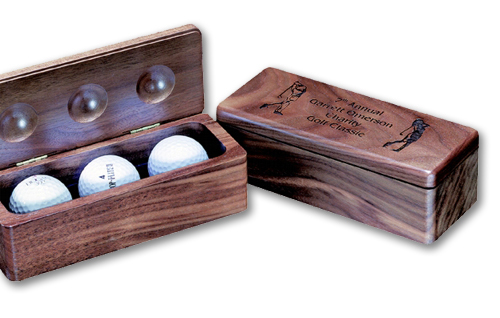 Top off a great per formance with our Cup Ranier. 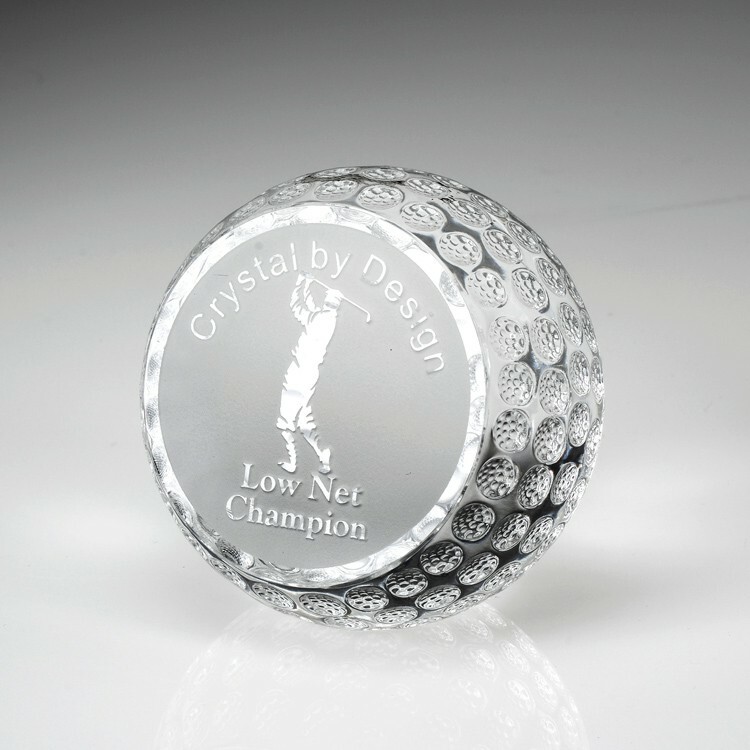 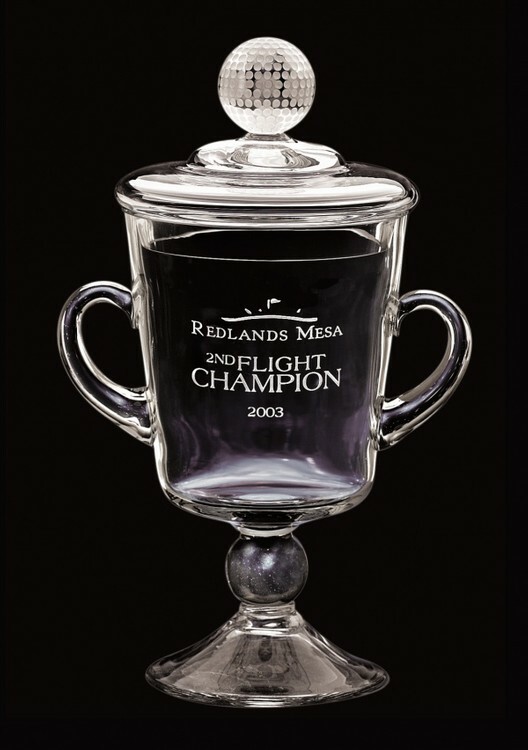 Highlighted by a crystal golf ball that rests like a crown jewel, this cup is a mouth-blown keepsake. 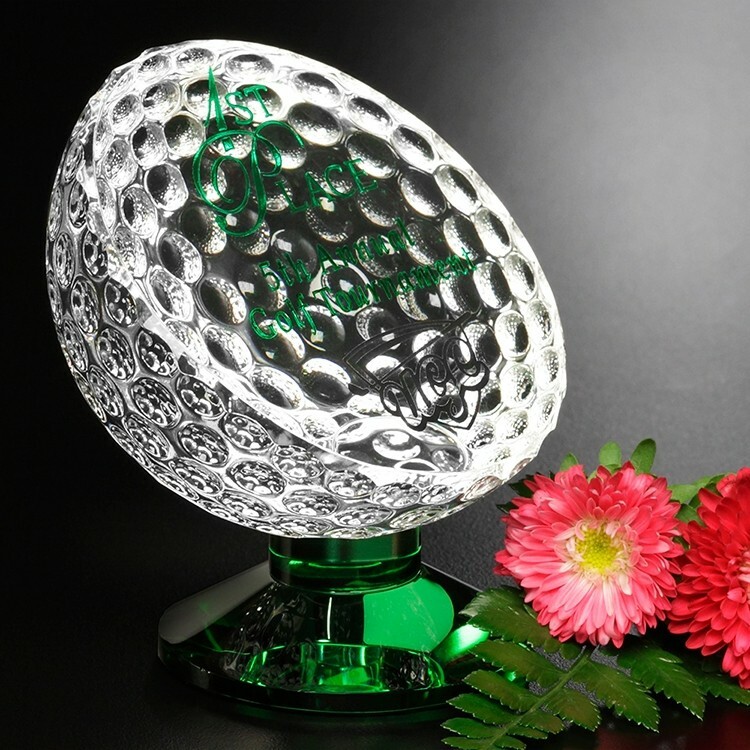 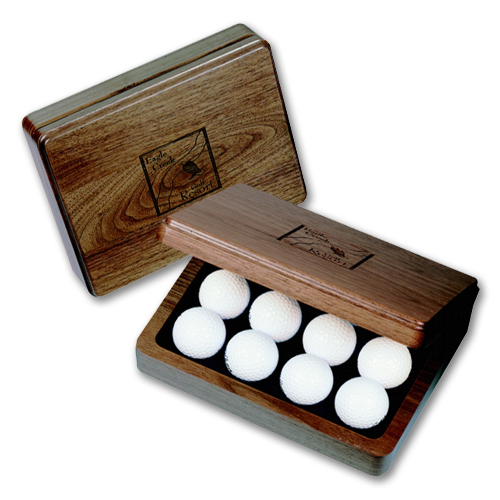 And just in case golf is not your game, tennis, basketball, baseball, volleyball and soccer balls are also available. 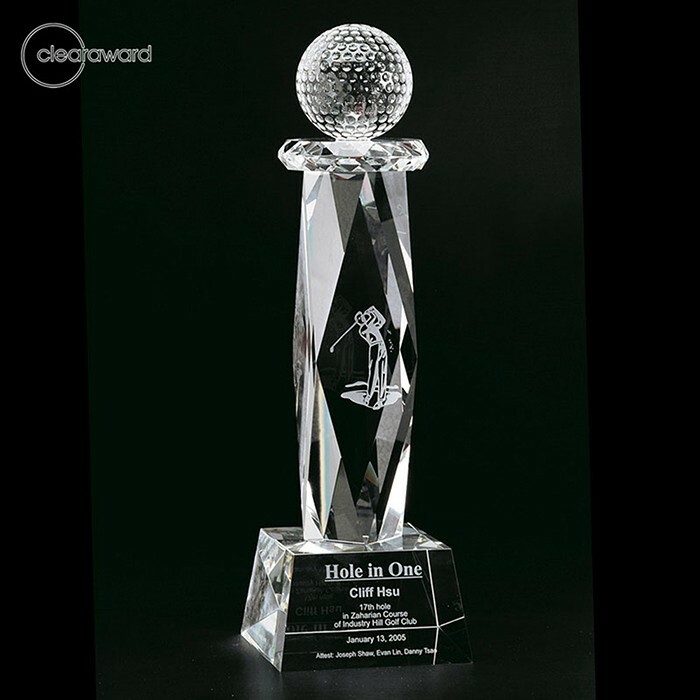 Another J.Charles original.